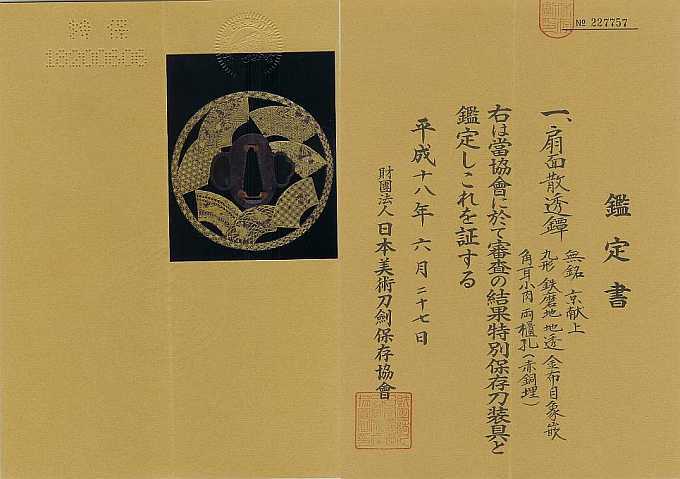 Mei: Mumei,(unsigned) SENMEN KAZU SUKASHI TSUBA. Kanteisho: TOKUBETSU HOZON TOSOGU N.B.T.H.K. Kanteisho. Date: Heisei, 18nd Year, 6th Month, 27th Day. 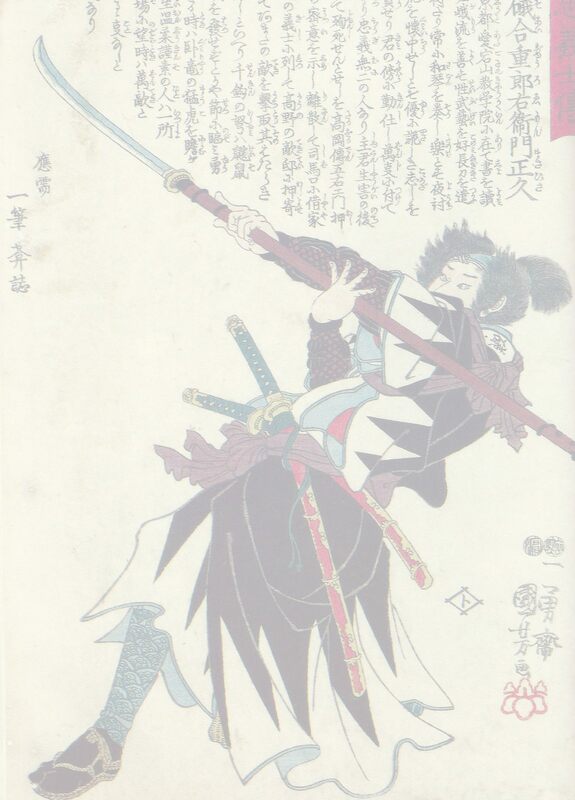 Form: Marugata Sukashi(round), with two plugged hitsu-ana.. Size: 86,6 x 86,6 mm. Nakago ana: 26,6 x 9,0 mm. Material: Steel with a lot of gold inlay. Description: Fantastic steel tsuba, classical design. Fan motifs, Shakudo plugged Hitsu-ana for Kozuka and Kogai. Nice dark patin, with TOKUBETSU HOZON paper.